As is all too depressingly obvious, it’s not long until Christmas and that is my deadline for finishing off my second book. This will, as I may have mentioned before, run on from UTCWAM, chart my adventures in England, Canada, New Zealand and the western USA, and effectively bring the mission up to the present day in terms of trips. 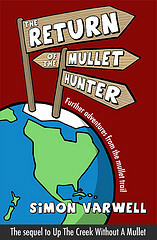 The working title for the book is “Mullet 2”, but that too easily lends itself to various secondary titles, like “Mullet 2: Mullet Harder” and suchlike, the realm of which I am more than inclined to avoid. Such titular considerations have been at the back of my mind, however, given the pressing need to get the actual content finished. It had been looking a bit touch and go of late, and indeed I actually planned to finish it this time last year, and then this summer, but I am confident that aiming for this Christmas will be the last delay. Obstacles have basically revolved around lots going on in real life and the day job, so finding time to sit down and write – even with my free Mondays – has been hard. But increasingly as I’ve found the time, I’ve been more effective at using it, and I’m now more confident than ever that I will hit the target. 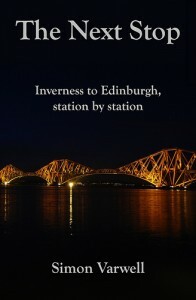 The easiest bit – for the most part – has been writing about the trips themselves, which were of course great fun. A little trickier have been the intervening bits, trying to remember what was happening in life, what mullets I discovered when and how, what things are entertaining or relevant enough to write, and how all fits in the right order. I’ve got the bulk of the book finished, and I am now in the process of finishing up the “in between trips” sections, and then follows the numerous rounds of redrafting and editing. I’m definitely in the final straights now, which is a relief after a frustratingly long time in getting this second book near to completion. If it is to be published, we should be looking at some time later on in 2012. I will of course keep you posted. Badoom, and indeed tish. 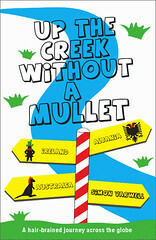 I reckon the final instalment will be called “Last of the Mullets”. That’s pretty much an open secret!